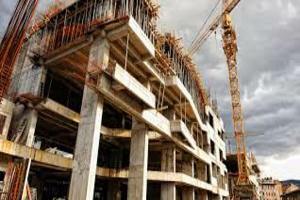 Developers who are keen on Roads, housing and civil work projects 2018 was projected to be an exciting year, moving Kenya closer to vision 2030, the government identifies affordable housing among the key golden pillars for the next five years and food security manufacturing and universal health care are some others. Did you know that civil works as well as roads are paramount for each of the four pillars? The delivery of about 500,000 housing units will be achieved through government- private partnerships. The possible routes of action across other quarters are being discussed. It is urged that the colonial estates built in Nairobi Eastland’s offer a lot of space that also can be developed similarly to Kibera housing project with high rise apartments. But according to others undeveloped land must be hosting grounds of the masses as available in Kajiado and Machakos countries. Either way by offering services such as excavations, loading, dumping, grading among other construction companies in Kenya will benefit. Though been recognized to offer quality services by the construction sector, some companies turn to be at major faults just because of overlooking minor issues. At Athi River this was recently experienced Where due to a contractor said to have done sub-standard work which resulted in the project been declared unfit for occupation after inspection. Shopping mall have been a bankable idea with office blocks leading apart from residential housing there is a looming bubble in the sector as pervious findings have indicated. Therefore hospitality is predicted to be a game changer. Nairobi has a rise everyday in luxury Apartments with mixed developments among other facilities. Neither is the hotel industry left behind. Hotels such as Hilton and sarova are the biggest developers Hilton now also commencing to build Africa's tallest building in upper hill Nairobi. Hilton's pinnacle will host offices, businesses and recreational facility attracting shoppers, tourists and general visitors. A marvel shall it be all by its self with world class facilities and unique architectural design. With government agendas other developments such as housing the masses are also expected to launch. To achieve client's expectation that will see them offer luxury, convenience and affordable solutions companies such as Cyton investments are exploring different locations.2018 in conclusion has been a takeoff from the political cycle to development cycle. With roads also been launched more real estate developments are expected graded and tarmac ked with equal effort. As a result of improved business environment and optimistic of Kenyan citizens that every day is a new day and will always be better the economy is predicted to grow further.